LassoART Designs is a leading Dynamic Web Design Company in India, Offering website designing, development & SEO services by dedicated team at affordable rates. As per the needs of the customers, we are offering the best quality array of Dynamic Web Designing Services. 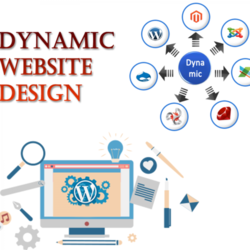 Due to our enormous acquaintance of this area, we have been capable to provide Dynamic Website Development Services to our valued consumers. We are offering the best quality array of Dynamic Website Development Service to our prestigious clients.